Owners occasionally need to borrow funds from their businesses. If your business is structured as a corporation and it has extra cash on hand, a shareholder loan can be a convenient and low-cost option — but it’s important to treat the transaction as a bona fide loan. If you don’t, the IRS may claim you received a taxable dividend or compensation payment rather than a loan. A corporation can make de minimis loans of $10,000 or less to shareholders without paying interest. But, if all of the loans from the corporation to a shareholder add up to more than $10,000, the advances may be subject to a complicated set of below-market interest rules unless you charge what the IRS considers an “adequate” rate of interest. Each month the IRS publishes its applicable federal rates (AFRs), which vary depending on the term of the loan. Right now, although interest rates are starting to rise, they’re still near historic lows, making it a good time to borrow money. For example, in July 2017, the adjusted AFR for short-term loans (of not more than three years) was only 1.22% (up from 0.71% in July 2016). The rate was 1.89% (up from 1.43% in July 2016) for midterm loans (with terms ranging from more than three years to not more than nine years). The AFRs are typically below what a bank would charge. As long as the corporation charged interest at the AFR (or higher), the loan would be exempt from the complicated below-market interest rules the IRS imposes. The interest rate for a demand loan — which is payable whenever the corporation wants to collect it — isn’t fixed when the loan is set up. Instead it varies depending on market conditions. So, calculating the correct AFR for a demand loan is more complicated than it is for a term loan. In general, it’s easier to administer a shareholder loan with a prescribed term than a demand note. If a corporation lends money to a shareholder at an interest rate that’s below the AFR, the IRS requires it to impute interest using the below-market interest rules. These calculations can be complicated. The amount of incremental imputed interest (beyond what the corporation already charges the shareholder) depends on when the loan was set up and whether it’s a demand or term loan. There are also tax consequences for this imputed interest to both the corporation and the shareholder. Additionally, the IRS may argue that the loan should be reclassified as either a dividend or additional compensation. The corporation may deduct the latter, but it will also be subject to payroll taxes. Both dividends and additional compensation would be taxable income to the shareholder personally, however. When deciding whether payments made to shareholders qualify as bona fide loans, the IRS considers a variety of factors. It assesses the size of the loan, as well as the corporation’s history of earnings, dividend payments and loan repayments. It also looks at the shareholder’s ability to repay the loan and power to make corporate decisions. In addition, the IRS will factor in whether you’ve executed a formal, written note that specifies repayment terms — including the interest rate, maturity date and collateral. Under the right circumstances, a shareholder loan could be a smart tax planning move to make this year. Contact our firm to help you set up and monitor your shareholder loans to ensure compliance with the IRS rules. SHOULD YOU CHANGE YOUR BUSINESS – OR TRANSFORM IT? As its market and technological needs evolve, every company needs to change. There’s even a formal term for the undertaking: “change management.” From an operational standpoint, change involves opening up the hood and switching out old engine parts for new ones. Even if it affects the business as a whole, change means focusing on specific areas and making alterations over relatively short periods. At some point in the existence of many companies, the organization needs to go beyond change to transformation. This is much different. Business transformations aren’t so much about switching out parts as overhauling the entire engine, possibly modifying the frame and even applying a new coat of paint. Let’s look a little more closely at the distinction. Say a large commercial construction company was having trouble meeting its sales goals because of environmental regulations. So, it decided to augment its sales teams with environmental engineers who could better assess the compliance impact. The company applied change management principles — such as building a case for the idea and adjusting its business culture — and was successful. This was no doubt an important change, but the business itself wasn’t transformed. The objective of a true transformation is to essentially reinvent the company and implement a new business model. And that model needs to be a carefully, formally devised chain of interlocking strategic initiatives that apply to the entire organization. Perhaps the most obvious and universal example of a business transformation is Apple. The technology giant, once a head-to-head competitor with IBM on the personal computer market, found itself struggling in the 1990s. So, under the tutelage of the late Steve Jobs, it transformed itself into a mobile technology company. It still makes computers, of course, but the company’s transformative success can really be attributed to its mobile devices and operating systems. Every business transformation differs based on the history, nature and size of the company in question. But there are best practices to keep in mind. For example, start with your customers, visualizing what they need (even if they don’t know it yet). Also, build a chain of initiatives, so you’re not trying to do everything all at once. And use metrics, so you can track specific dollar amounts and productivity goals throughout the transformation. Above all, be ready for anything. Even the best-planned transformations can produce unpredictable results. So keep expectations in line and take a measured, patient approach to every initiative involved. Successful business transformations can be spectacular and profitable. But, make no mistake, the risk level is high. So if you decide to embark on this journey, bring along your trusted financial, legal and strategic advisors. Use the annualized income installment method.This method often benefits taxpayers who have large variability in income by month due to bonuses, investment gains and losses, or seasonal income — especially if it’s skewed toward year end. Annualizing calculates the tax due based on income, gains, losses and deductions through each “quarterly” estimated tax period. Estimate your tax liability and increase withholding.If, as year end approaches, you determine you’ve underpaid, consider having the tax shortfall withheld from your salary or year-end bonus by December 31. 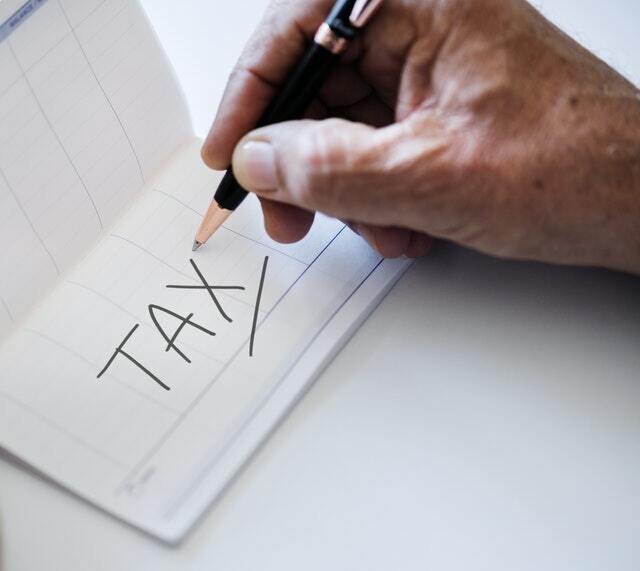 Because withholding is considered to have been paid ratably throughout the year, this is often a better strategy than making up the difference with an increased quarterly tax payment, which may trigger penalties for earlier quarters. October 16 — Personal returns that received an automatic six-month extension must be filed today and any tax, interest and penalties due must be paid. If a six-month extension was obtained, calendar-year C corporations should file their 2016 Form 1120 by this date. October 31 — The third quarter Form 941 (“Employer’s Quarterly Federal Tax Return”) is due today and any undeposited tax must be deposited. (If your tax liability is less than $2,500, you can pay it in full with a timely filed return.) If you deposited the tax for the quarter in full and on time, you have until November 10 to file the return. December 15 — Calendar-year corporations must deposit the fourth installment of estimated income tax for 2017. If the monthly deposit rule applies, employers must deposit the tax for payments in November for Social Security, Medicare, withheld income tax and nonpayroll withholding.